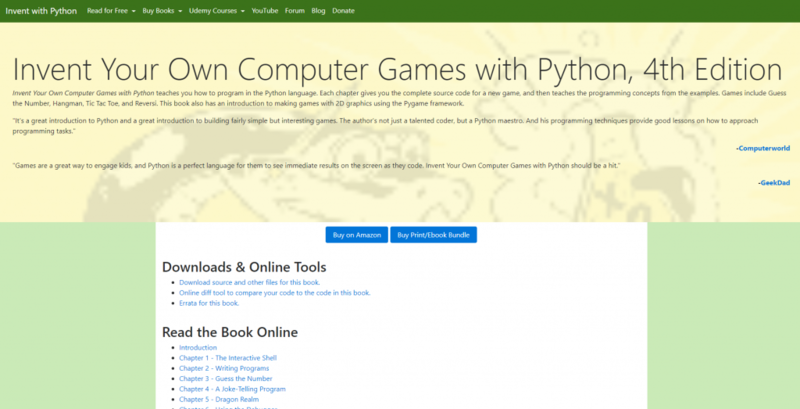 Perhaps one of the best beginner books written on Python, designed for teaching kids ages 8 and older how to program, using Python 2.7. This one is meant to be printed out and stapled together and given to your child as a gift. It comes in 3 different flavors (Mac, Linux, Windows). 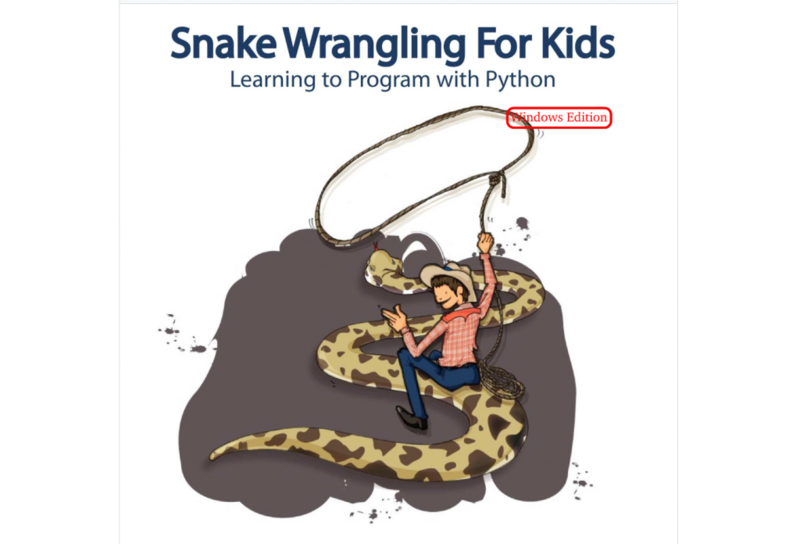 Note: All PDF downloads have been depreciated by the author since the publication of the printed edition, Python for Kids, but updated versions are maintained and made available through a 3rd party, on Github, due to the original book’s generous Creative Commons (CC-BY-NC-SA) license. The prebuilt PDF files are based on the original author’s Python 3 version of the book, and has been edited to work with Python 2.7. Please disregard anything you may read in the book’s preface about downloading Python 3. You need to get Python 2.7 for this version of the book. Your Second Python program. . .the same again? Do this. . . or ELSE!!! Do this. . . or do this. . . or do this. . . or ELSE!!! What’s the difference. . .? When is a block not square?